Back in this post on the King Crimson Maple from mid-July of this year, I mentioned that while I was doing what I consider to be a decent job of populating our #newoldbackyard with a nice variety of deciduous trees, I've failed at establishing any conifers or evergreens. What is probably a backwards approach to establishing the arboretum of sorts. 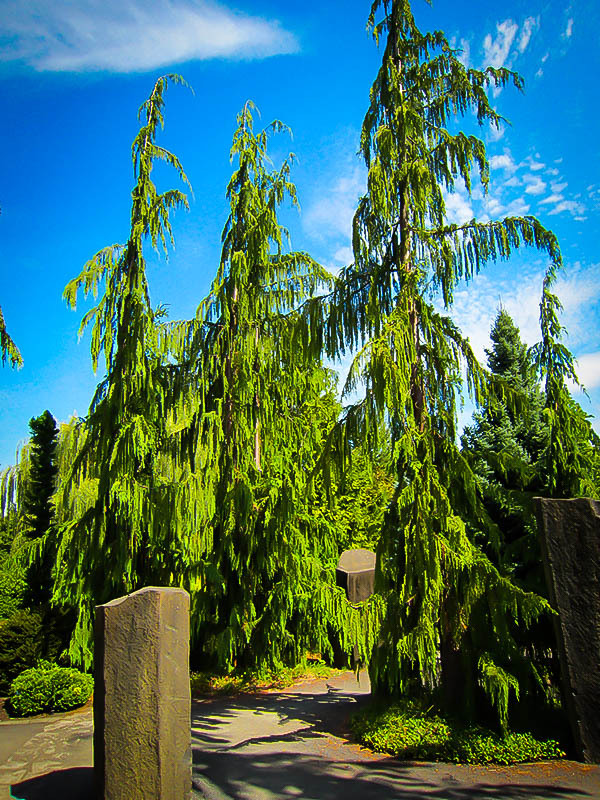 I also mentioned two specific species of trees that I've had my eyes on including this one you see above: Alaskan Weeping Cedar. More on the tree can be found here. But, where to put it? I've made no secret about my desire to fully build out the #newoldbackyard as recently as this week with the placement of a wood-fired pizza oven, an expanded patio with some sort of pavilion structure, some trees to screen the neighbors to the north. All of that seems to require planning, which I'm thinking requires some professional. That is...if we want to get it right. To that end, I've taken a few landscape professionals up on their ideas of how to begin to pull things together back there. I'll share some of those details in the next few days.